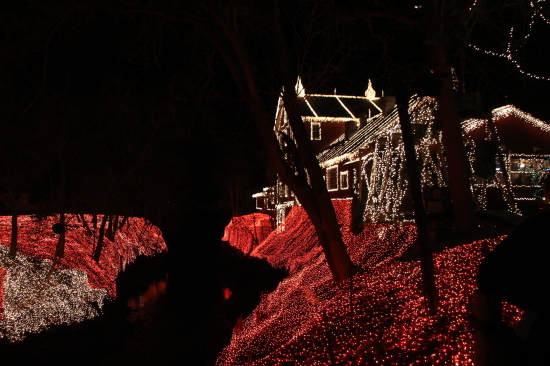 This holiday season spend quality time with loved ones at one of Ohio’s most beloved Christmas destinations, Clifton Mill. 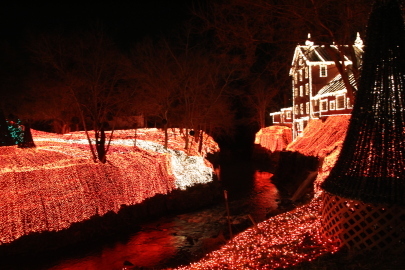 With millions of twinkling lights, the Clifton Mill Christmas lights will surely get you into the holiday spirit! Wishing you a Merry Christmas and Happy Holidays! 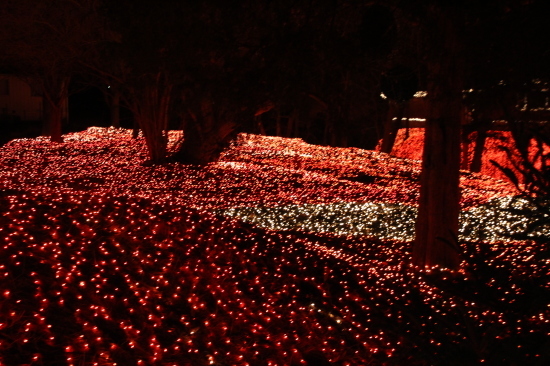 Looking for more holiday lights in Ohio? 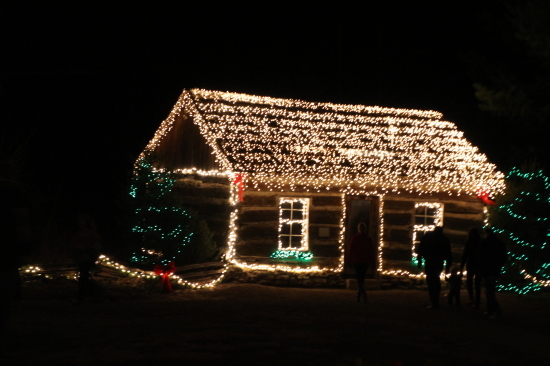 Check out this list of the Best Christmas Lights Displays in Ohio! 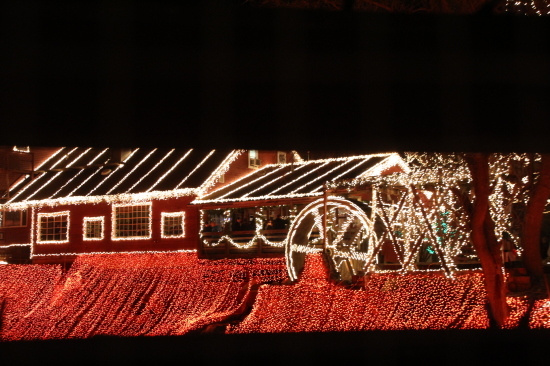 Clifton Mill started the light display in 1988 with only 100,000 lights. Today, there are nearly 4 million lights that cover the Historic Clifton Mill, the covered bridge, surrounding trees and the banks of the Little Miami River. 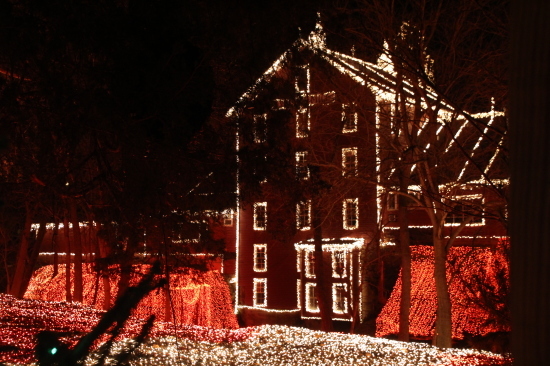 Over the years, with the addition of the lights, the illumination display at the historic mill was aptly named the Legendary Light Display. The spectacular lights twinkle all around you and the Little Miami River provides a wonderful reflection of the holiday lights. 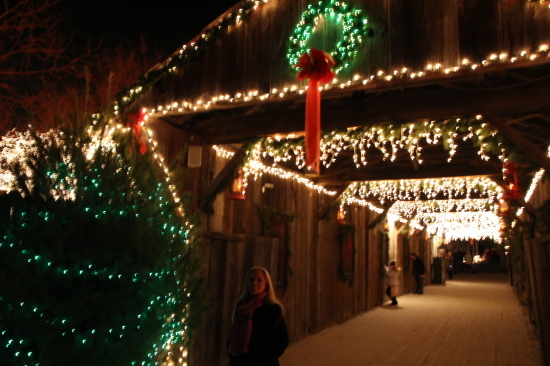 A delightful musical covered bridge light show is presented every hour on the hour. 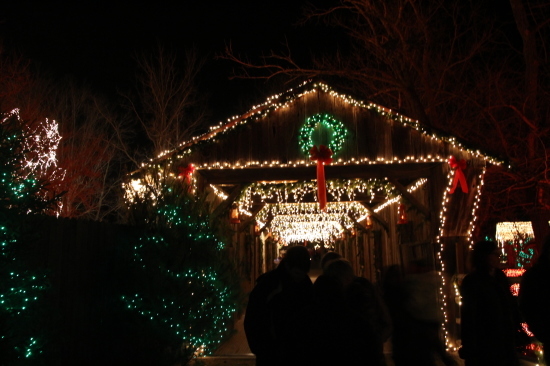 Prior to the covered bridge show, the entire mill goes dark (for about one minute), then the music and lights dance together, creating a spectacular holiday show! 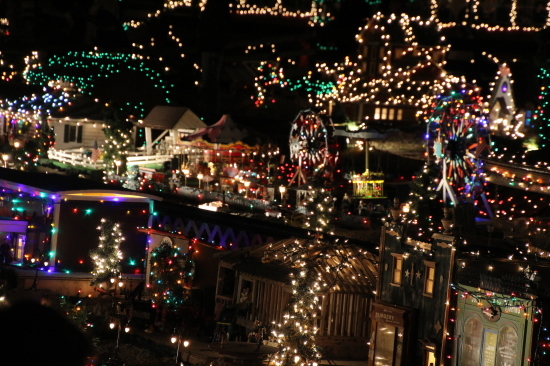 Aside from the brilliant light display, the animated miniature village is a unique collection of over 100 moving miniatures, 800 feet of train tracks, and miniature airplanes and hot air-balloons flying above this impressive collection of miniatures. The animated miniature village is an adorable replica of an old fashioned town. 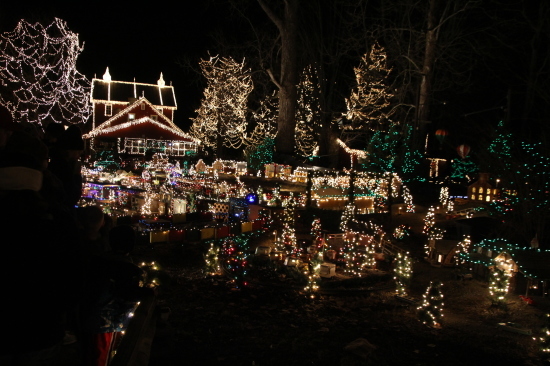 After viewing the miniature village, check out the Santa display. 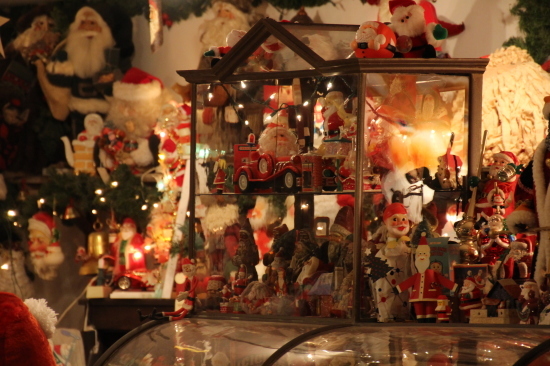 The collection has over 3,000 Santa’s, which are displayed next to the mill. 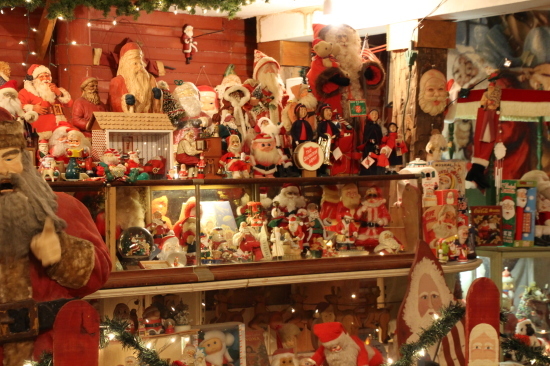 This is one of the largest Santa Claus collections in the country, so if you love Santa figurines, this is the perfect place for you! 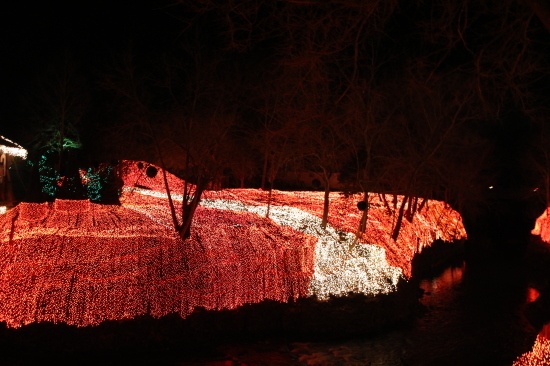 With a beautiful holiday light display along the banks of the Little Miami River, an animated miniature village, a large Santa Claus collection and Santa’s workshop with vintage toys, warm seasonal drinks and lots of festive spirit, the Historic Clifton Mill and Legendary Light Display is the perfect holiday entertainment! Also, check out the restaurant at Clifton Mill. Their yummy pancakes (the chocolate chip are my favorite) are made from grain which is prepared at the mill, and are the biggest pancakes I have ever seen! Make sure to sit at a table along the windows for a wonderful view of the 20-foot water wheel, covered bridge, and the Little Miami River. 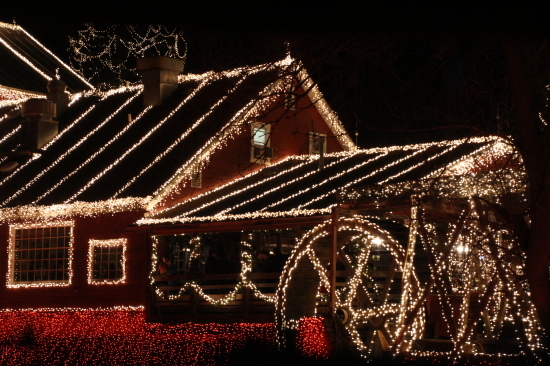 The Historic Clifton Mill is located about an hour west of Columbus and offers visitors a beautiful display of holiday lights. 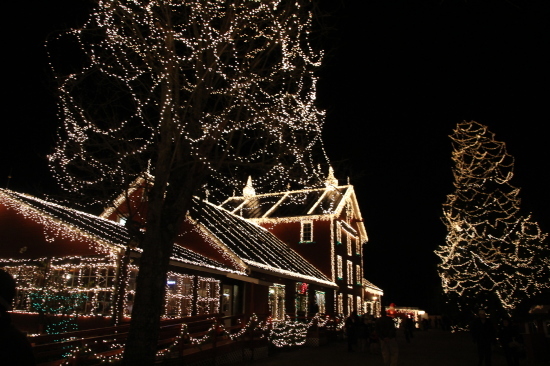 The lights are on display the day after Thanksgiving through December 31 nightly from 6-9pm. 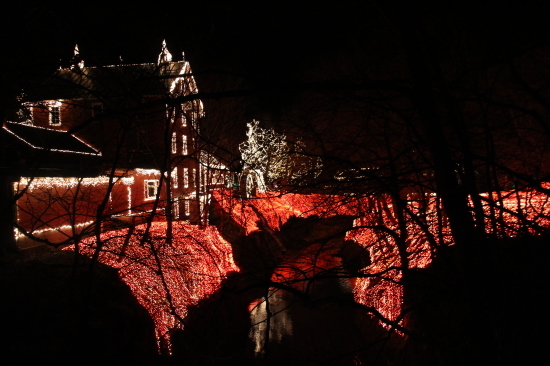 The Historic Clifton Mill is located 75 Water Street, Clifton, OH 45316. Columbus Zoo Wildlights	Merry Christmas! Happy Holidays!